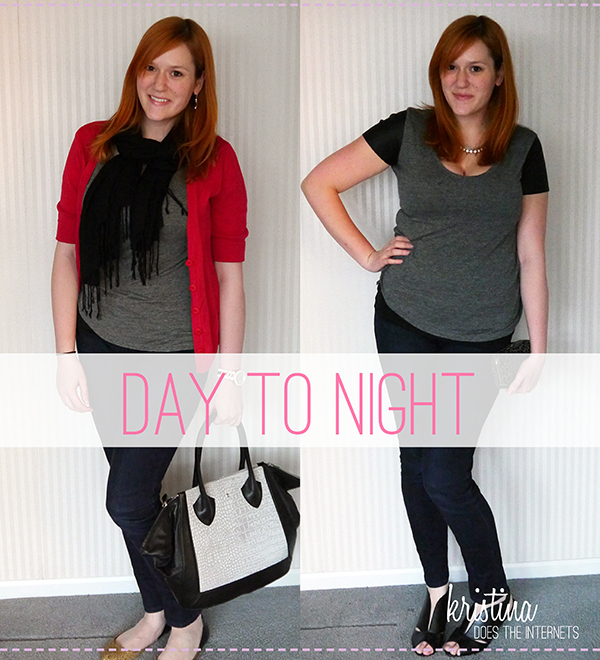 I don't know about you, but I'm constantly trying to find outfits that easily transition from day to night. Really, when it happens, it's like living the dream. I got this cool leather sleeve tee from ASOS (purchased basically immediately after seeing it on Lauren from From My Grey Desk) and thought it perfectly fit the bill. With a couple more quick changes, I was able to go from work to a birthday party. I love the transition! So easy and you look fabulous. 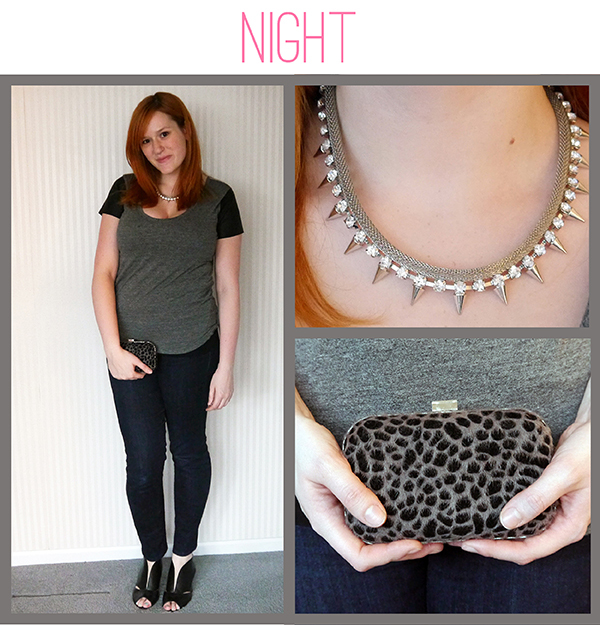 I love that necklace in the night look. Your daytime purse is fantastic as well. What a great post idea. Cute idea for posts- you should totally do more of these! Such a cute post! You transitioned it perfectly, too. 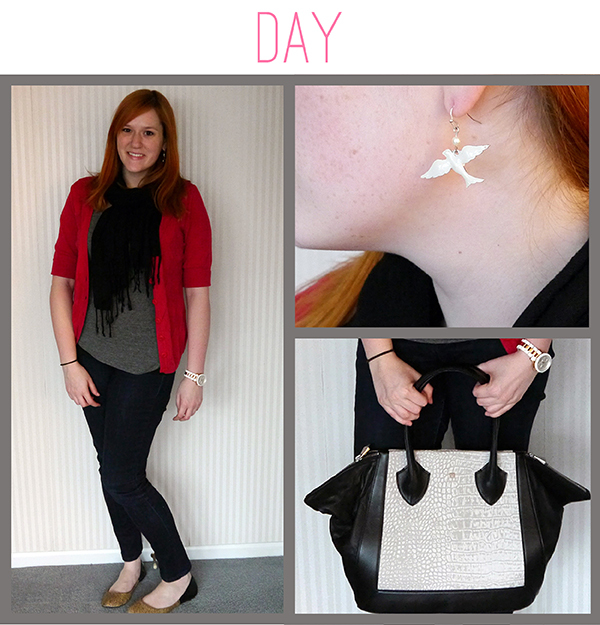 I always rely on my jewelry to kick an outfit up a notch! ah loving that spiked necklace!! looking fab as usual! I am confused that if those outfit making you beautiful or your beauty makes those beautiful.You look so chic and nice.Thanks for the sharing. Thanks Rachel, I'll have to come up with some more!